No need to pack your bag and head to the Med, with temperatures set to rocket to as high as 34°C in parts of the UK this week. While many will welcome the sunshine and warmer weather, spare a thought for those who will have to work in sweltering conditions in kitchens, factories, shops and offices around the country. Working in really hot premises can be unbearable and dangerous. You might be surprised to know that while staff are not expected to work when the temperature gets a tad chilly and drops below 16°C (or 13°C if they are do physically demanding work) there are no similar restrictions for when the workplace becomes too hot. 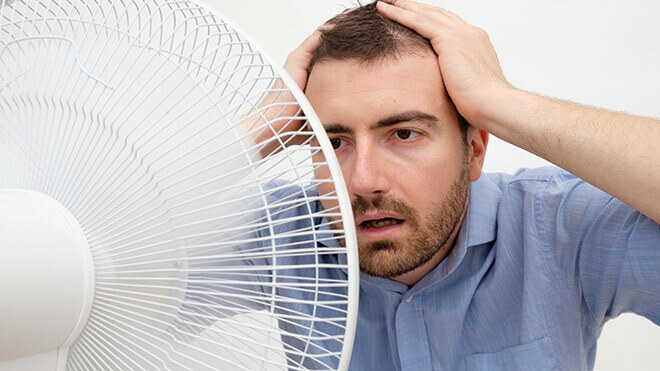 The TUC has long been campaigning for a change in the law to introduce a new maximum indoor temperature, set at 30°C – or 27°C for those doing strenuous jobs – with employers obliged to adopt cooling measures when the workplace temperature hits 24°C. The TUC is asking bosses to help their workers this week, and temporarily relax their workplace dress codes so staff can work through the heatwave as comfortably as possible. Where people are working outdoors, employers should consider reviewing working times so that, where possible, work is done in the morning and afternoon, rather than around midday when temperatures are highest. Bosses can also help their workers keep cool by letting them come to work in more casual clothing. Obviously shorts and flip flops won’t be the right attire for all workers, but no one should be made to suffer unnecessarily in the heat for the sake of appearances. allow staff to adopt less formal attire – with jackets off, and casual lightweight clothes in. allow staff to take frequent breaks and provide a ready supply of cool drinks. For more advice, check out our section on how to handle working through a heatwave.